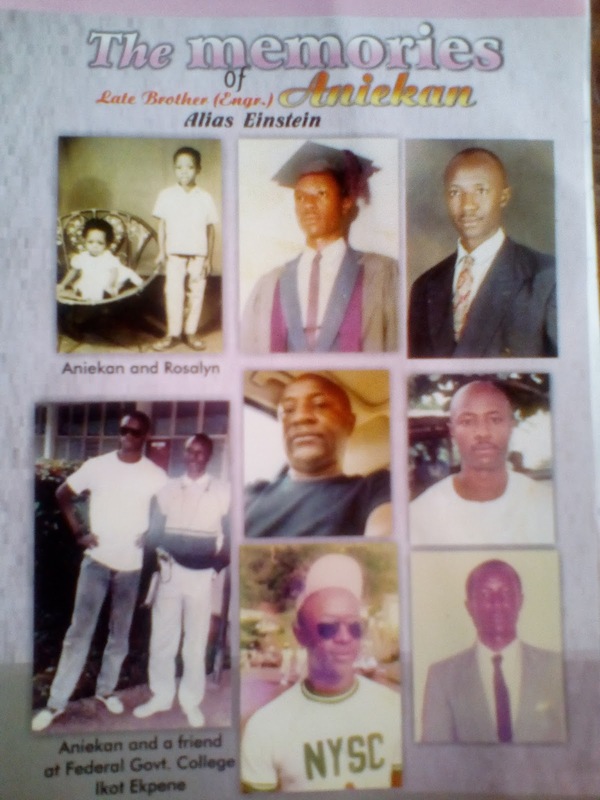 The vice chancellor's brother-in-law was buried yesterday at Itu Local Government Area of Akwa Ibom State. The event was covered by Humb's blog crew. Dignitaries graced the occasion. The bereaved name was Late Aniekan E. Usanga alias Einstein. 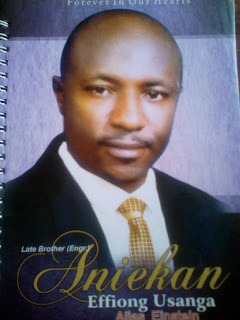 He is the in-law to the Vice Chancellor of University of Uyo. Late Engr. Aniekan E. Usanga was born into a Christian family as one of the Jehovah's witnesses. Late Engr. Aniekan E. Usanga was married to his best friend Naomi Benjamin. The marriage was blessed with two children. Anni became sick sometime ago. Over time, as the illness still persisted, plans were perfected to fly him out again for further medical treatment but he couldn't make it. He took a bow and the curtain fell at about 7pm on February 16, 2018. We all at Humb's blog sympathize with your family for the great lost.